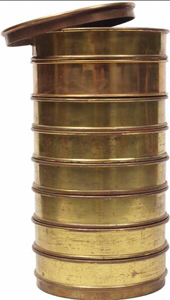 Do You Know If Your Test Sieves Are Doing the Job? Do You Re-Certify? Compare with a Master Stack? Check with Calibration Samples? The ASTM E-11 committee has done a great job of establishing three levels of testing. These levels show the probability of a sieve’s mesh to be within the permissible variations. These variations relate to the size of openings in wire-cloth used for test sieves. 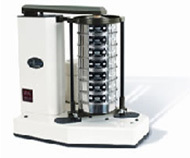 Is Test Sieve Certification All You Need? For several years, people in the test sieving business have been grousing about the difficulty of making sure that a test sieve certification is what they need. Anyone who is working with close tolerances in the smaller particle sizes, like 300 microns and smaller, have serious issues in matching results from test sieve to test sieve. When is a Sieve Not a Sieve? In our business, we use the word “sieve” to describe a piece of equipment that separates desired elements from unwanted material using a woven wire screen or mesh net. To others, “sieve” can mean something very different. Sieves make understanding the world around us not just possible, but also easier. And with the advancement of sieves, not only are we able to separate dry particle, but also sift molecules from fluid as well. With molecular sieves developed by MIT, we can now strip a molecule’s individual parts gives us a better understanding of how things come together and work, such as diseases or even DNA. You may remember Pequeño and his family of very small 150 micron (150µ) particles being very determined to defeat sieve certification. 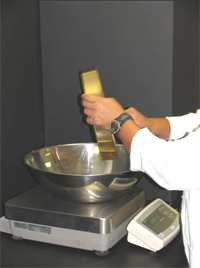 We continue to search for answers to the question "Is Sieve Calibration Really the Holy Grail?" As promised,we present Episode III of the Pequeño saga. 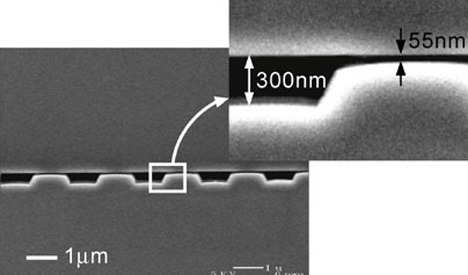 You may remember him as a very small (150-micron) particle with many similar-sized family members who are determined to defeat sieve certification. As I start on this second installment of The Adventures of Pequeño: The 150 Micron Particle, I wonder why I get myself into these serial onslaughts. However, a promise is a promise, so I shall press on. You will recall from Part I: Sieve Certification, our little friend Pequeño, a particle on a determined quest to make it through sieves -- particularly those through which he should be too large to pass. In this scenario, Pequeño along with some of his family and friends -- all small particles about 150 microns in size -- are on their way to a sieve test. Is your concrete going to be strong enough? Will you chocolates taste right? Will your washing powder flow and dissolve as advertised? Is there dangerous residue in your pill stock? Will the “frack sand” keep the fractures open? Is my salt of the correct grade? If these are not correct, serious consequences could result (e.g. spoiled product, returned batches, rework or scrap). 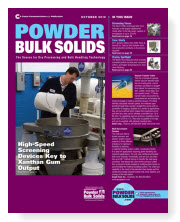 In April, we published an article in "Powder-Bulk Solids" comparing certification process veracity with a sieve calibration process using calibrated glass microspheres (or beads). The certification process merely indicates that a sieve mesh conforms to a standard that has a wide tolerance regarding mesh openings. It is performed on a small number of openings. On the other hand, calibration using the calibrated beads results in a number representing the mean opening -- a result generated by actually performing a test encompassing at least 80% of the mesh openings.